Total Transportation and Distribution continues to grow, contributing to the economic expansion and increased employment in California. The owners are also mindful that with growth comes the opportunity to participate more in the community. The note we see, is a Thank You note from the Volunteers and Staff of Mea Ola’s Place..…A Place For Survivors! This is an organization who is dedicated to rescuing horses, and to rehabilitating the ones that they cannot place and use them for therapy, as well as sharing them with anyone that would like to learn about horses. 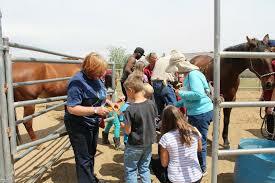 This has become a win-win enterprise for both the horses and individuals in their community. During the Blue Cut Fire, Total Transportation and Distribution donated the transportation of furniture, donated by a customer Angelus Shoe Polish, to the families who lost everything 2 weeks ago. During and after the fire, the staff and volunteers at Mea Ola’s Place have been helping the 105 displaced families that lost everything.